At the age of 15, Michael Christians, born in 1957, began studying the violin at the Folkwang Academy in Essen, moving on later to Ramy Shevelov in Hanover. Master classes with Sándor Vegh, Tibor Varga, Leonid Kogan and Franco Gulli rounded off his education. 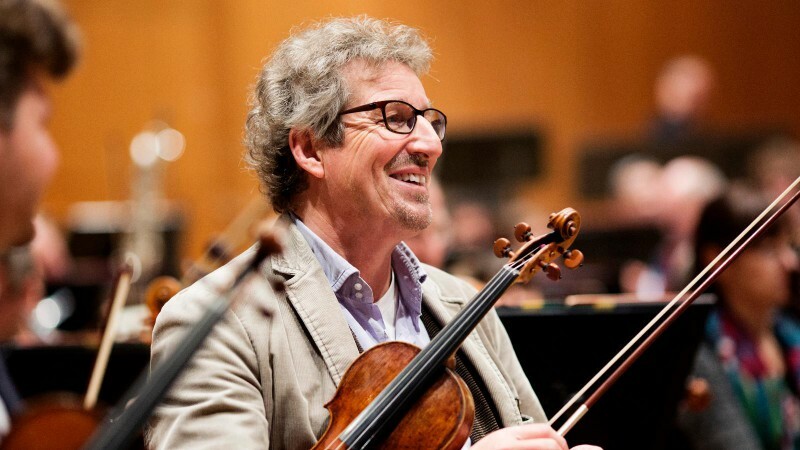 After having served as principal concert master of the Symphony Orchestra in Münster for four years, Michael Christians switched to the Symphonieorchester des Bayerischen Rundfunks in 1986, where he has been a member of the first violin section ever since. Besides his orchestral work, he devotes a great deal of time to chamber music performance and teaching activities. He is a guest professor at festivals at home and abroad and also teaches at the summer academy in the Swiss town of Link.